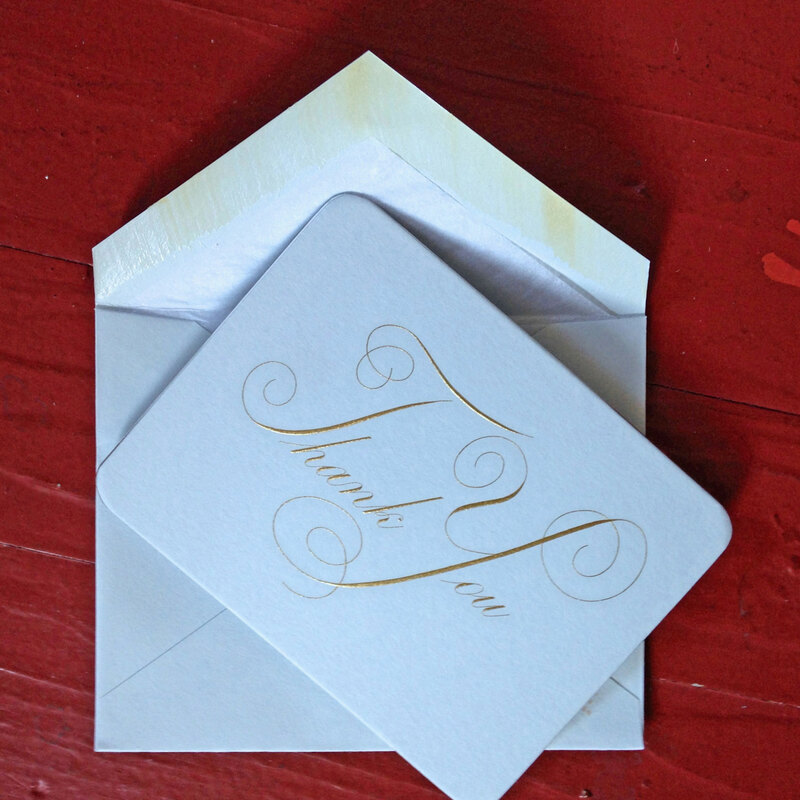 Hand Engraved Thank You note card. Limited edition, hand engraved “Thank You” in gold metallic ink on vintage, pale blue cards handmade expressly for Nancy Sharon Collins, Stationer, in the late 1990s by one of the Queen of England’s warranted stationers. $23.50 includes shipping and handling. The card’s edges are gilded in silver leaf, and each envelope is completely lined, by hand, in tissue. These are approximately A6 size or 5-1/2″ X 4-1/4″. One card and one envelope per order; only 72 of these beautiful note sets were ever created.